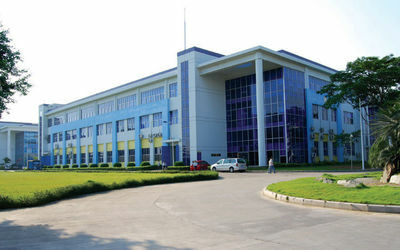 Established in 2008, Dongguan SHINING Electronic Technology Co., Ltd.(SHINING) , with its subsidiary factory Dongguan CLOUDTOP Electronic Technology Co., Ltd.(CLOUDTOP), is specialized in researching, developing, manufacturing and supplying touch panels, including 4-wire resistive touch panel, 5-wire resistive touch panel, capacitive touch panel, digital touch panel etc., which are widely used in LCD modules for access control, industrial control, house-hold electronics, automotive GPS navigation devices, medical, teaching, office equipment and other products with touch function. 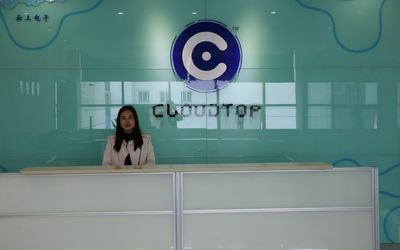 SHINING and CLOUDTOP strictly control touch panels’ quality according to industrial standard and clients’ requirements. 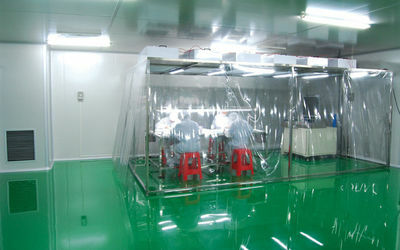 We own over 2000 square meters 10,000-class dust-free workshops and more than 200 square meters are equipped with 100-class dust-free workshops, which basically ensures the cleanliness of our touch panels. 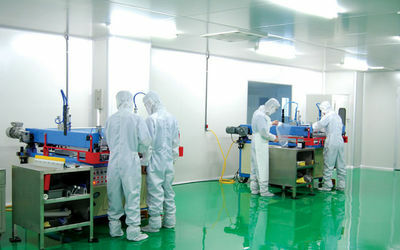 Regarding our R&D and production ability, we have 12 experienced people in the management and there are more than 50 workers, most of who have been with us for over 3 years. 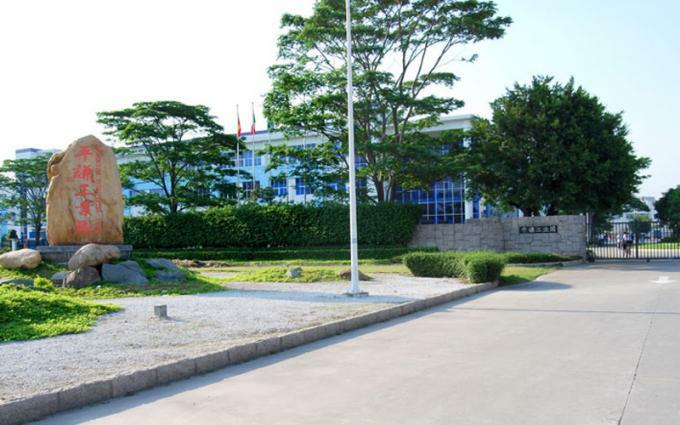 Moreover, in order to guarantee the quality from the start, we only purchase brand materials and some key steps, such as silk-printing, laminating, cutting, FPC bonding etc., are all operated by automatic machine and skill-experienced workers. 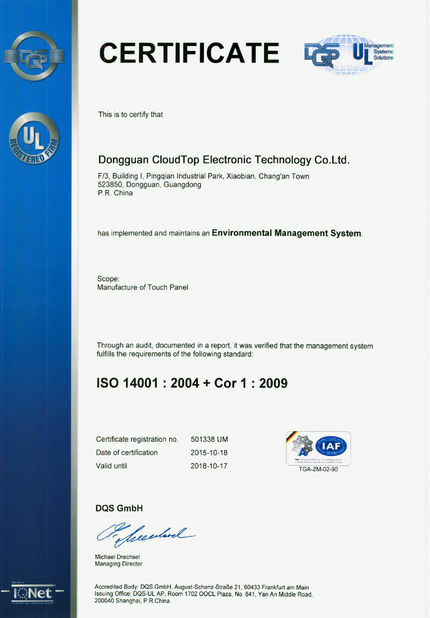 Additionally, we carry out 100% inspection to make sure that each piece touch panel delivered from warehouse can meet our clients’ requirements. 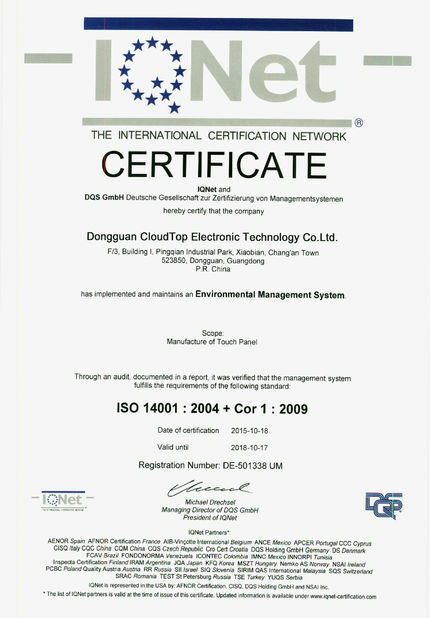 In 2010, we passed ISO 9001:2008 International Management System and 14001:2004 + Cor 1: 2009 Environmental Management System; In 2013, our touch panels passed REACH 144 inspection; In 2015, audited by TUV, we became PRC national standard high quality manufacturer. We are proud of our development and our clients, not only because of well-known clients like Samsung and Nintendo, but also because of clients who are not that successful but striving all the time. We hope you will be one of them. Feb. 2016 Our rademark, Kenshin, was formally applied for successfully. 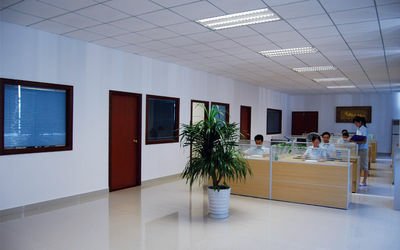 Shining has been a touch panel/screen manufacturer since 2009, supplying analog resistive touch panels, including 4-wire resistive touch panels and 5-wire resistive touch panels, digital touch panels, capacitive touch panels, etc..
Having been in the field of manufacturing touch panels/screens, Shining has accumulated a huge number of touch panel model and related experience. So, please kindly let us know your specific requirements, probably, we just have the one you are looking for. Most of our touch panels / screens are customized, hence, if you cannot find the existed one exactly you need, we are also quite pleased and able to help provide the touch panels solutions according to your requests or related products. 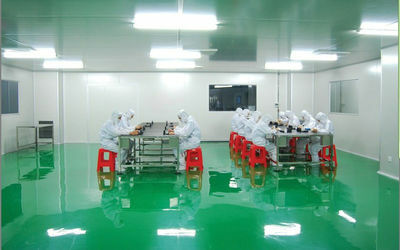 100% apperance and fuction inspection before packing. Usually, products are packed with anti-static box and foam box, certainly, we shall follow your packing requirements if you have. Payment: T/T (30% deposit, balance before shipment) or L/C at sight. There are 8 divisions in our company. 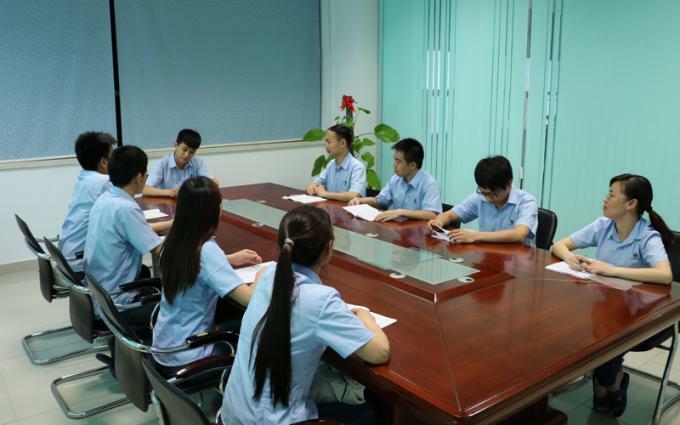 They are adminstrative department, marketing and sales dempartment, engineering department, production department, quality control department, finacial department, warehouse department, purchase department. Perhaps, you have noted our value is Filial and Respectful, Kind and Friendly, Practical and Striving. 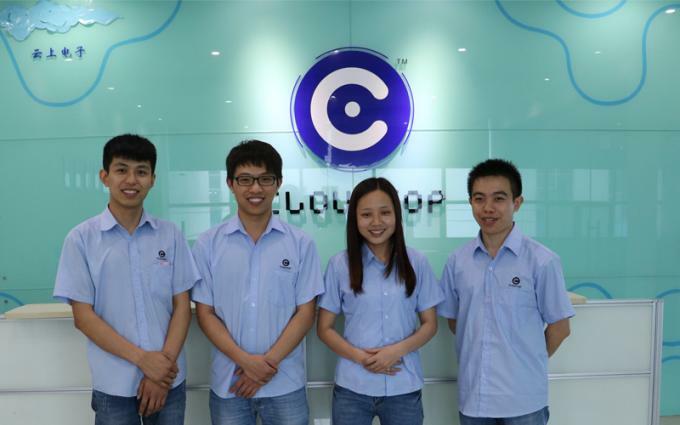 All of our colleagues, no matter which department she/he is in, follow our company value.